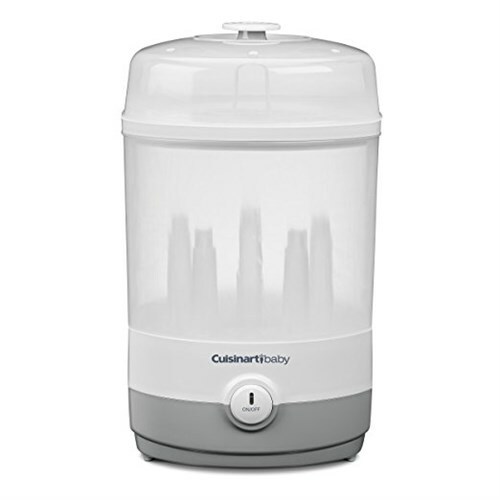 The Cuisinart CS-7 is an electric steam sterilizer and dryer that sterlize baby items with steam. 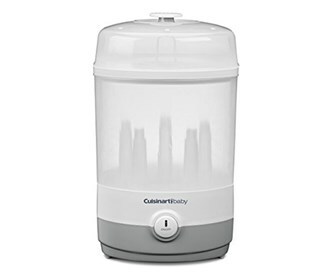 It is perfect for steaming bottles, pacifiers, small toys, and breast-feeding accessories.The sterilizer is compact yet big enough to hold up to five glass or plastic bottles, including most commercially available sizes. The Cuisinart CS-7 has many exciting features for users of all types. You can extend the lifetime of your Cuisinart CS-7 with the purchase of a FactoryOutletStore Factory Protection Plan. See the Cuisinart CS-7 gallery images above for more product views. The Cuisinart CS-7 is sold as a Brand New Unopened Item.